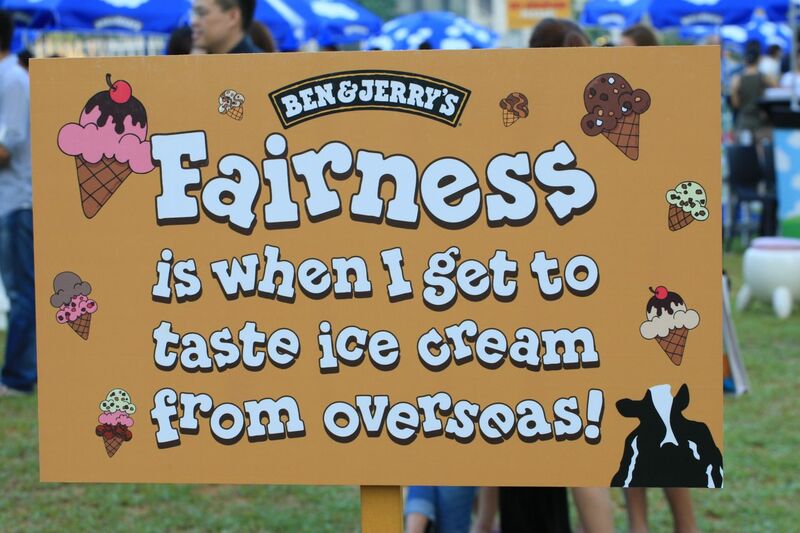 This is my 4th time attending, attending an ice cream festival here in Singapore, known as the Ben & Jerry Chunk Fest 2011, a time to taste different ice cream varieties from USA that are not available for the Singapore market. Looking back at the past 3 years, I remember Ben & Jerry Chunk Fest being held at various locations. This year 2011, it’s held at the Marina Promontory, a good location overlooking the Marina Bay and it’s not too far away from Raffles Place MRT station. Ben & Jerry Chunk Fest is another great event for social media networking, asking the bloggers/social media/tweeples to gather, eat ice cream, relax and chit chat. Ben & Jerry Chunk Fest 2011 is not just about eating Ben & Jerry ice cream flavours that are not available in Singapore, that’s many other booths set up to support local social causes and local businesses. Local rock bands were playing on the stage, providing live music entertainment, there were games for the crowds to play with and against each other, that’s also the booth for the mini-Vermonster, the cousin to the annual giant ice cream eating event at Ben & Jerry Chunk Fest whereby teams of 4 people form together to ferociously gobble down many scoops of Ben & Jerry Ice Cream in a big tub at the fastest time. This competition is always fun to watch and enjoy for the rest of the spectators while we are eating our Ben & Jerry ice cream. A good time to catch up with friends from the social media/blog community, Philip, Serene, Daphne, Sue and Noel, met Catherine for the first time. 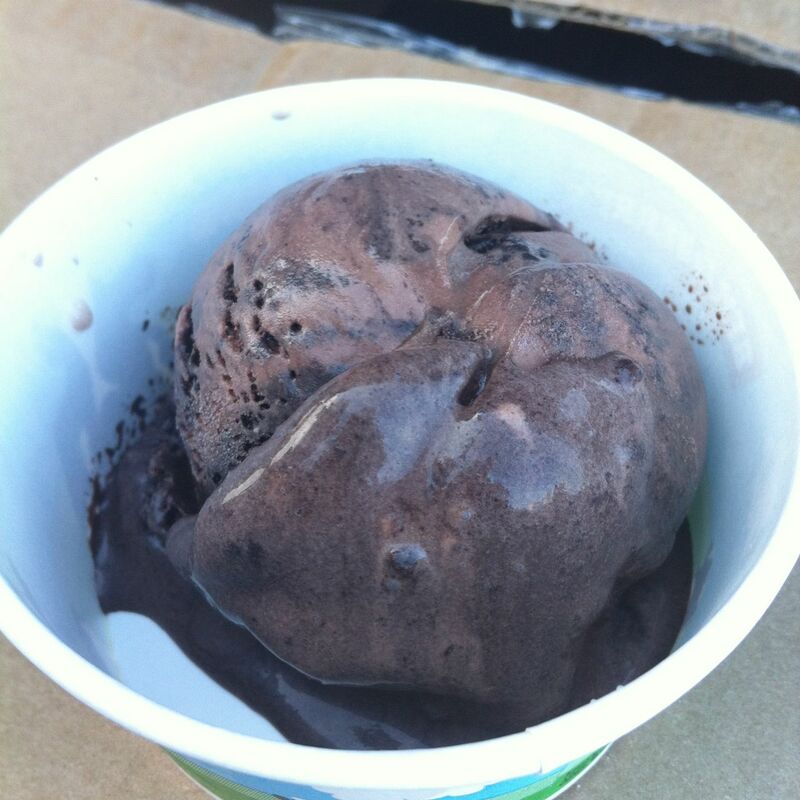 I got myself 3 different scoops of Ben & Jerry Ice Cream, chit chat and relaxing time there in the late afternoon. 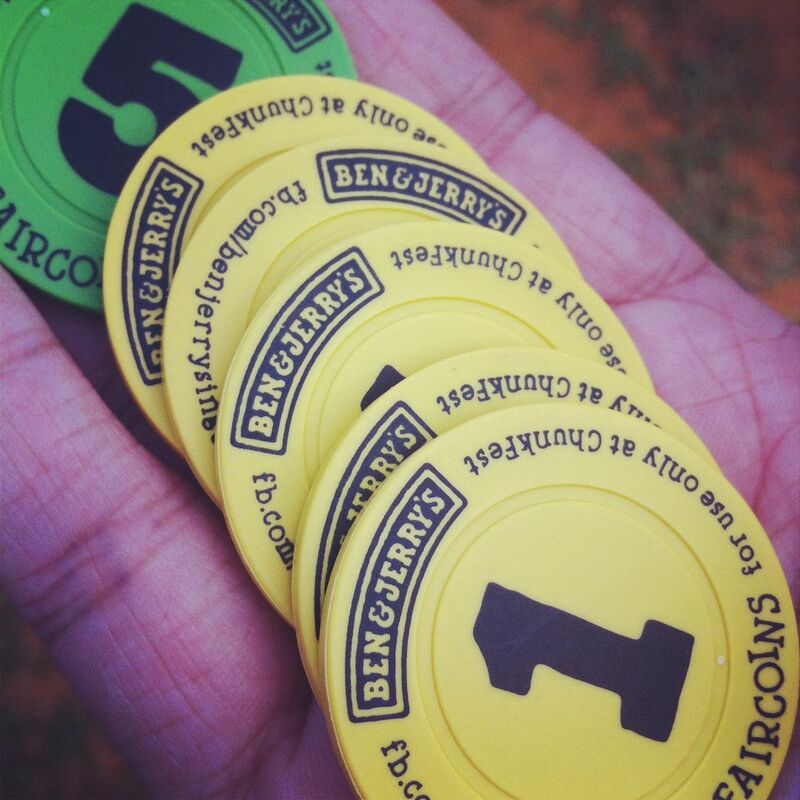 Till then, I shall once a while pop into Ben & Jerry outlets in Singapore to satisfy my craving for the exotic/unavailable Ben & Jerry Ice Cream!